We distribute our books through Ingram, one of the biggest and best book distributors in the world. With Ingram, we have a built-in sales force, which gives visibility to your book. They give you—and your book—extensive reach through their company IngramSpark. Ingram is the best in the business at printing and distributing books, and they manage our print and e-book distribution. They handle everything for us: e-books, softcovers, hardcovers, black and white, as well as color. They distribute through retailers like Amazon, Books-A-Million, Barnes and Noble, and thousands of others. 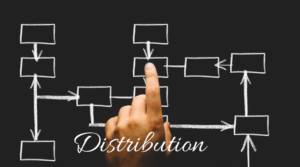 Through this distribution channel, you’ll get your book out to the entire world.